Fitness is the foundation of all effective combatives training. Of course we all know that speed, power, agility, endurance, precision and flexibility are the common attributes of all top athletes. Whether you are looking to get in shape to feel better, look better, lose weight or perform better under pressure, our classes deliver results. Power, the definition of intensity, has been defined as the "time rate of doing work." Striking, grappling, attacking or defending with a weapon as well as explosive footwork are all tests of power. Through consistent training in our Combatives Program, you will examine and push the limits of your own ability to be powerful. Speed has always been the attribute that every athlete wants. More often than not, life or death situations are determined by fractions of a second. Your speed of perception, reaction and initiation will all be increased substantially in our Phase Combatives Program. The faster you are, the slower they appear. Timing is EVERYTHING...almost. Our Phase Combatives Program is specifically designed to develop and increase your timing. With improved timing, your ability to control a dangerous situation will improve as your opponents will seem slower. You will quickly gain the ability to change directions smoothly with explosiveness & precision in our Program. Aside from helping to make tasks seem effortless, your ability to evade one or more opponents and escape is crucial in surviving a dire situation. All of the attributes and technique in the world will not matter if you do not have the endurance to maintain it when it counts. Your ability to survive, protect those close to you and escape are all dependent on your overall conditioning level. LA Combatives Group's Program will prepare your muscles, heart and lungs for the challenge.  You will thoroughly enjoy LA Combatives Group's Progressive Flexibility Program. With consistent training, over time you will gain increased range of motion, muscle and joint injury resilience as well as more fluid and relaxed movement. After a few times though, you'll never know how you lived without it. Proper Combative Mindset is critical for dealing with the stresses of everyday life as well as life or death survival situations. Through physically demanding training and world class hands-on drills, our program will mentally prepare you for a worst-case scenario.